This is a parkour map which is perfect for anyone who want to practice their parkour skills. There are 10 different levels which all vary in difficulty as well as a donus level in the end with some increased difficulty. Every level is possible to complete even if it for some of you might not seem possible at first. The area where you’ll be doing the parkour looks to be in a giant house. You’ll start out in a lobby where you can read some instructions. Walk through the house which is fitted in the wall to begin the parkour. It’s multiplayer friendly and there are also checkpoints. The Floor Is Lava is a parkour and minigame where you are allowed 10 seconds to examine a room before the floor turns into lava and you have to escape. The parkour is fairly easy to complete but it’s nonetheless a fun minigame which perhaps could be expanded on in the future with harder and more difficult levels. If you like parkour then give it a try! As soon as you’ve pressed the button for the game to start you will teleport to a level room with a countdown from 10. Use this time to get a better understanding of the level and figure out the best way to escape it. When the countdown reaches 0 the lava will be turned into lava and you will be teleported to your starting place. Find a way to escape the room without falling into the lava! 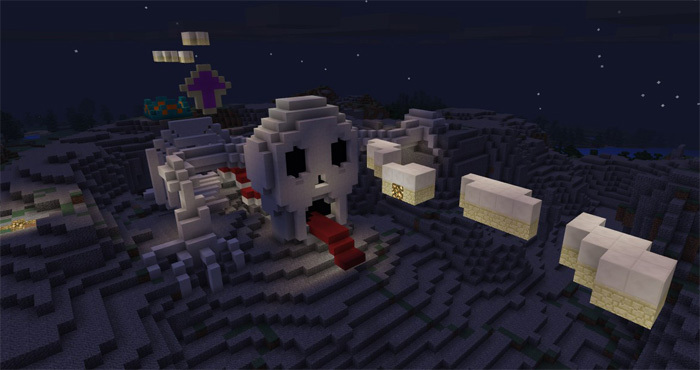 There are five hidden nether stars throughout the levels which you can try to collect. There is no prize in the end for collecting them, but it adds another difficulty to the game. The game can be played as many times as you want and restarted in-game. Lava Runner is a type of parkour map where you get a short head start before lava starts pouring down the ceiling. Your objective is to jump from one block to another, past all of the obstacles, to finally reach the end of the track and access the next level. All of this has to be done while knowing that you are just a few blocks away from being swallowed by lava. This map takes you through eight different obstacle courses which include a good range of jumping challenges. It’s suitable for most players, even ones who are more experienced doing parkour in Minecraft. 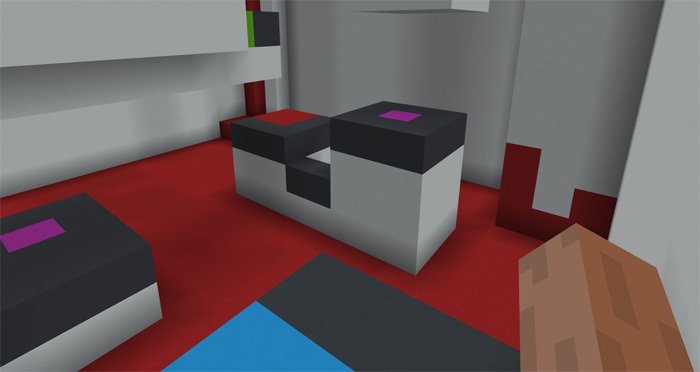 The map uses redstone to unlock levels once you’ve completed something and in each level there is a prize. Try your skills and finish the path! Freerunning is an extreme parkour map which includes a whole lot of gameplay as there are countless of levels. It’s best suited as a multiplayer map but it is also enjoyable in single player mode. It’s a massive parkour track with lots of fun surprises such as a boost effects and so on. If you like parkour then you’ll most likely enjoy this map! You’ll spawn in a lobby with a few Spanish signs. Even if you don’t understand Spanish (like myself) it’s really not much of a big deal. Just press the Empezar button once you are ready to begin the map. The map took roughly 3 days to create. The creator is currently looking for builders for his building team. Tweet him if interested! Concrete Parkour is a really fun parkour map where all throughout the map you will automatically get different boost effects in order to complete challenging jumps. There are lots of great levels so you can expect quite a lot of gameplay. But since it uses repeat command blocks to detect the player position it might cause lag on low-end devices. The different block colors represent a few different possibilities: boost effects, spawn point, teleport or immediate death. Half of the fun is figuring out which is which so I won’t go into details about that here. The boost effects (e.g. jump or speed) are essential for completing certain jumps. There are multiple levels throughout the map and on some places there are checkpoints. The Wall is a fairly challenging parkour map where the goal is to get to the top of the wall. But to get there you will need to jump past a series of obstacles. All of the obstacles require some type of jumping and on some stages failure is punishable by death. But luckily, there are multiple checkpoints along the way. It’s a quite fun challenge if you are into parkour maps.